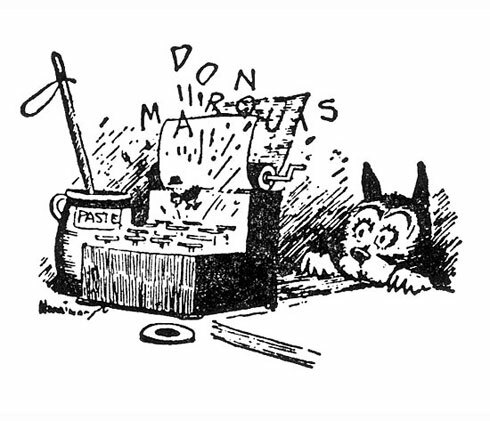 I was lucky that my one-time English teacher mom introduced me to Don Marquis’ “Archy and Mehitabel” essays early on. Sources not only of great humorous writing, but the fantastic illustrations of George (Krazy Kat) Herriman. The first act against climate change as brought about by deforestation appeared in Tobago in 1764 AFAIK. I was able to trace those ideas to JJ Rousseau, and that would make sense. But you can go even further back, to Saint Cyprian (250AD) and his writings about a worsening climate, or even Columella (50AD) and his writing about global warming. Thanks! Haven’t seen archy for some time, though I do remember him from high school. I wasn’t aware then that Herriman was the illustrator, although I did become a big fan of Krazy Kat later on. Must look up Marquis’s writings. It’s probably referring to the old (and false) idea that “the rain follows the plow”—except it turns that idea on its head. « Music Break: “Marley” Trailer. Looks Great.